Carrying many of the coveted fashion lines Cake has been known for, including Rag & bone, Vince, Elizabeth and James, ALC, Citizens of Humanity and Frame Denim. The Main Street shop offers a sleek, contemporary mountain interior design. 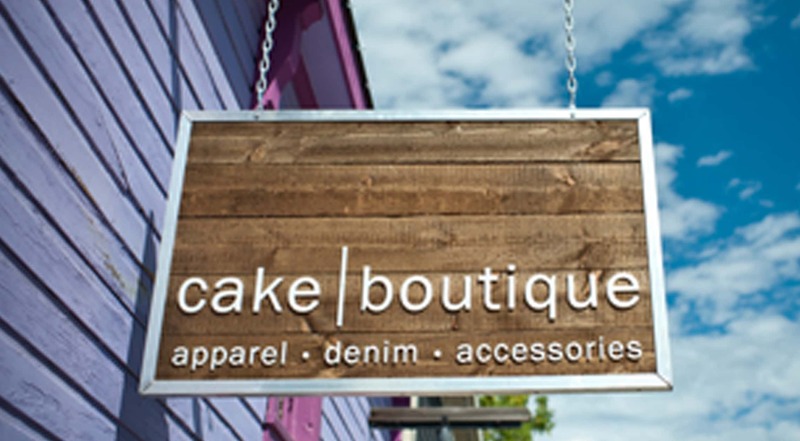 Opening in the summer of 2008, Cake Boutique sought to fill an unmet need in Park City, Utah, by offering women contemporary clothing that was modern and wearable without being overly trendy. Cozy sweaters, soft tees, perfect boots and premium denim are Cake's proverbial bread and butter, and it is all topped off with a fabulous staff that is trained to deliver superior customer service.